Sony has removed digital pre-order files for Grand Theft Auto V from the European PlayStation Store following spoiler leaks. European gamers recently had the opportunity to download pre-order files for Grand Theft Auto V. Unfortunately for Rockstar, several people took it upon themselves to crack open these files and take a peek at the spoilers residing inside. Apparently these included all of the game's audio tracks including its soundtrack, and every bit of dialogue from the game. Trophy information was apparently also found. The details gleaned from the resulting leak apparently include the ending to the game's story. Understandably mortified by this turn of events, Sony has since pulled the pre-order download from the European PlayStation Store and has issued a statement apologizing to fans and to Rockstar for the leaks. 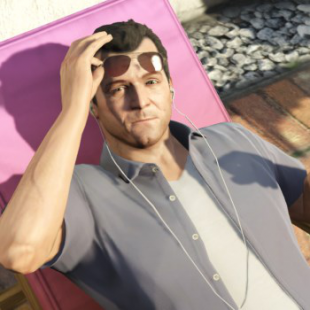 "Regrettably, some people who downloaded the digital pre-order of Grand Theft Auto V through the PlayStation Store in Europe were able to access certain GTA V assets. These assets were posted online," said Sid Shuman, Social Media Manager for Sony. "We sincerely apologize to Rockstar and GTA fans across the world who were exposed to the spoiler content." At this point, of course, with the leaked info already making rounds on the internet, Sony's efforts at damage control will likely be limited in their effectiveness. That in mind, Grand Theft Auto fans intent on playing the game spoiler free would do well to stay mindful of their potential presence on forums and comment boards until the game releases on September 17th.